Tell them just how much they mean to you. A locket, a small heart or even a watch always mark a special moment in your lives. Classic diamond studs are a wardrobe must have and a simple pair of pearl studs will take you from skating to a romantic dinner. Layering for the changing climate is not only for clothing – your jewellery can use an additional layer as well. Start with your ear lobes and add a larger more impressive earring. Moving to your neck, try accenting a bar pendant with a longer necklace to go below it. Now it’s time for your wrist. Find one special statement piece, many an oversize Muskoka Watch, and top it off with a couple of slim bangles or bracelets. 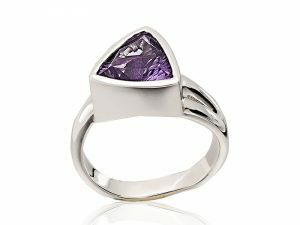 Finally moving down to your fingers, you can’t go wrong with one big, bold ring or several stackable rings to round out your wardrobe. And don’t forget if you are travelling this winter you can always add in some silver jewellery so you don’t have to take your more valuable jewellery with you. Make sure when you are ready to store your silver jewellery. Store it in a cool, dry place, preferably in a soft piece of felt or cloth. You can also add an anti-tarnish strip for your silver jewellery. Ask one of our sales representatives for more details. Because of the high value and rarity of certain jewellery, some people like to store their jewelry in a safe when not in use. If you have individual gemstones, a soft pouch is good for keeping them from coming in contact with other hard surfaces. If you would like to have your jewellery professionally cleaned, bring it and we will have your jewellery looking shiny and new! Be careful using ultrasonic cleaners, as only certain gemstones can handle the ultrasonic vibrations. Diamond cleaners usually contain ammonia and water. Using a soft brush you can remove dust or dirt from under the setting. 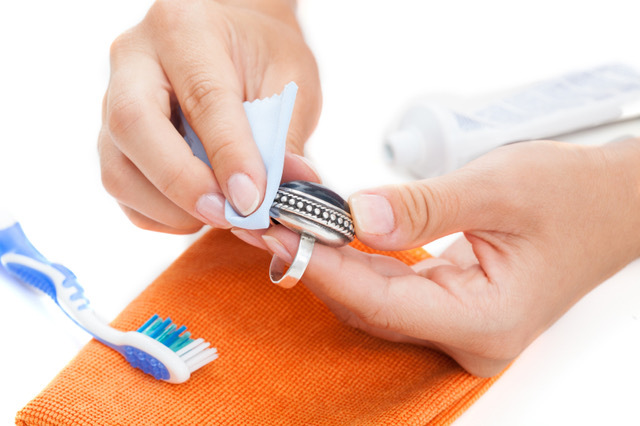 Silver jewellery can be cleaned with a silver polishing cloth, with or without special silver cleaning solution. Never wear your silver jewellery in a hot tub or chlorinated pool. The chemicals will pit your silver and they cannot be repaired. Diamonds are forever, as long as you take good care of them! Bridal jewellery, such as engagement rings and wedding bands are typically worn daily, and can appear like they’ve lost their sparkle if not cleaned on a regular basis. Lotions put film on diamonds and reduce their shininess. Don’t wear diamond jewellery while doing rough work. Avoid chlorinated pools and hot tubs. Avoid touching diamonds with your fingers, as smudges can affect a diamond’s luster and fire. If you have questions, feel free to contact one of our diamond experts at The Hunt House Fine and Custom Jewellery, and we will be happy to provide all the information you need to help you keep your diamonds in great shape. 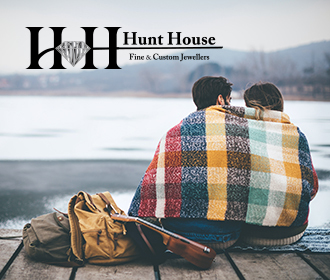 The Hunt House Fine and Custom Jewellers is proud to be an independent company that is located in Huntsville, Ontario. Having a full service jewellery workshop on site allows us to accommodate whatever your needs are. From the perfect engagement ring, the most romantic anniversary gift, the best birthday present , we are here to help you with all your celebratory needs. We seek to create an easygoing and friendly experience, while developing loyal and completely satisfied customers and friends for life. With our capacity to custom design, manufacture or repair jewellery , we enable our customers to possess the jewellery they will enjoy for years to come. We are constantly creating new and exciting pieces so please come in to see our amazing selection of fine jewellery, where you will find something perfect for that special someone.